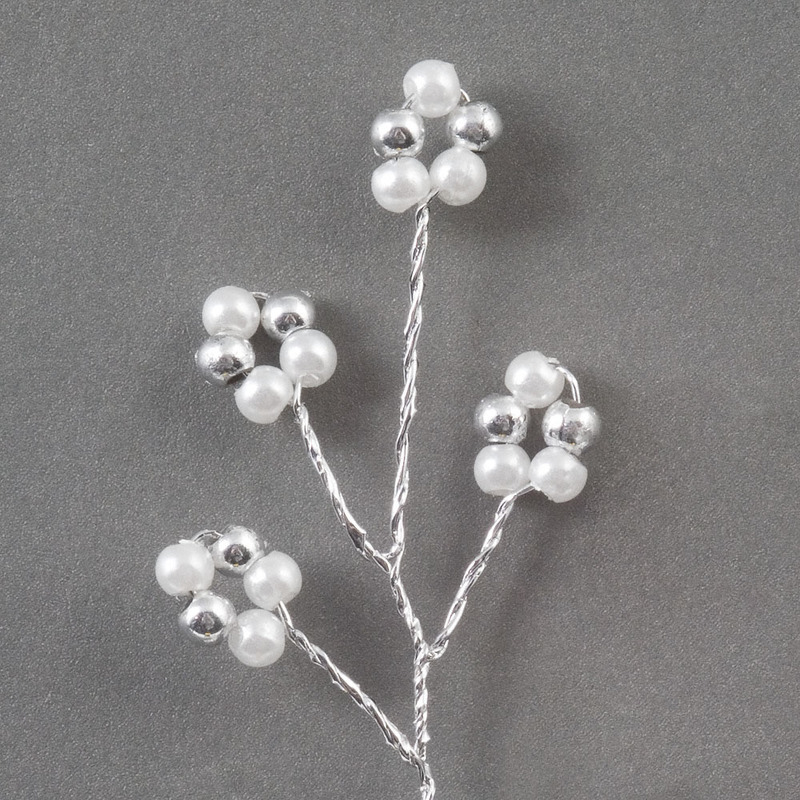 These pretty pearl clusters are a delicate trimming for favour boxes, as centre decorations in bomboniere tulle favours or even on invitations and place cards. 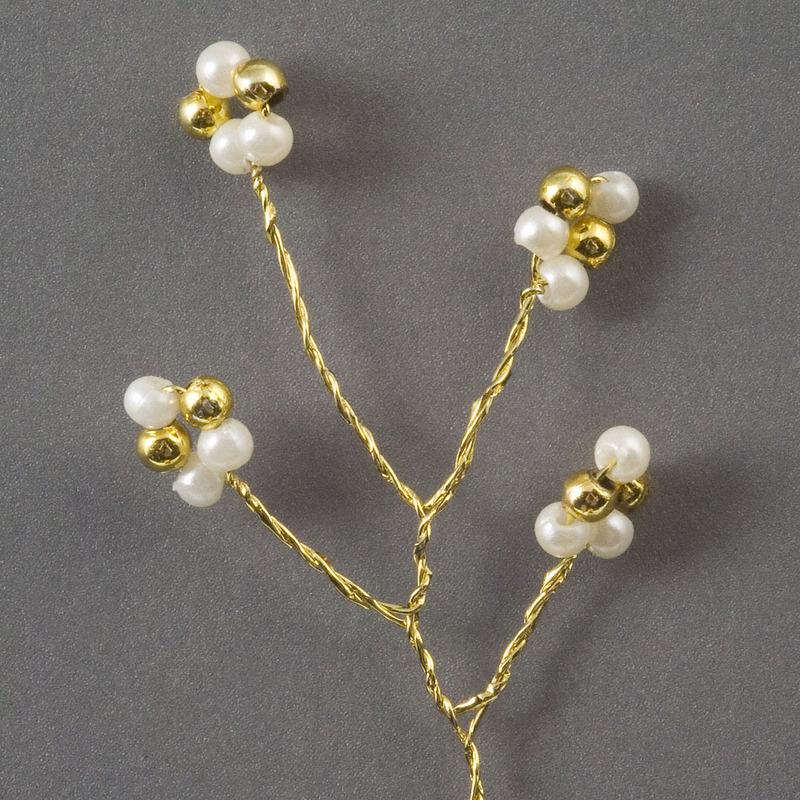 Each stem has 4 pearl clusters. Size each bead cluster approx. 7mm on a 11cm wire stem.